Mavens Mate by Joe Ferrao has been one of the most loved IDE. It was so popular that it can almost be considered IDE for Salesforce coding. The best part about the Mavensmate was it was open source and free. With Joe stepping away from Mavensmate from 7th August 2017 Salesforce Developers are looking out for a better alternative. So apart from eclipse we do have these 4 best alternatives for Salesforce coding as shown below which also supports Lightning. If you are familiar with the Visual Studio you will love this. It has lots of cool features like local history, intuitive interface, Visual Studio look along with lightning components. 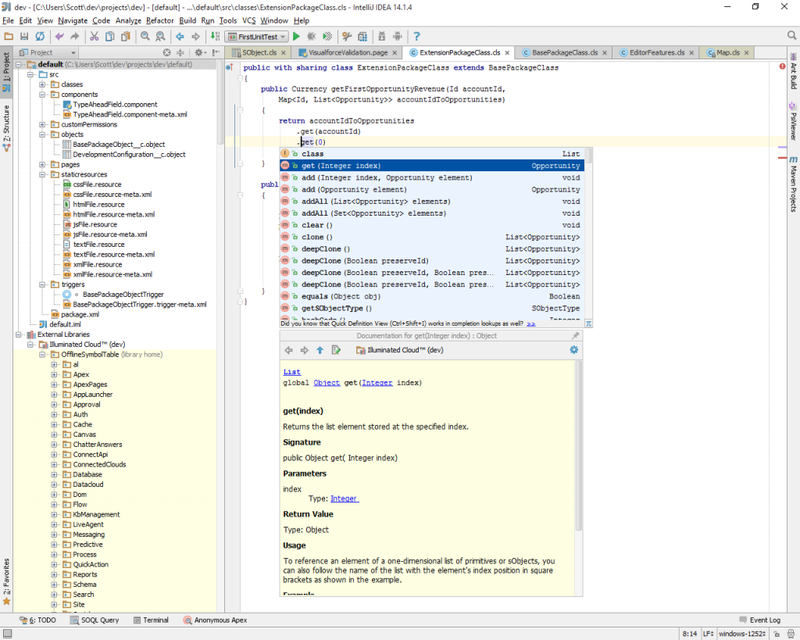 Illuminated Cloud is a powerful new Force.com development tool hosted within JetBrains IntelliJ IDEA. Illuminated Cloud was designed and implemented with the express intent of bringing the beloved feature set of modern Java IDEs to Force.com developers. It gives completeness of features packed into that IDE. 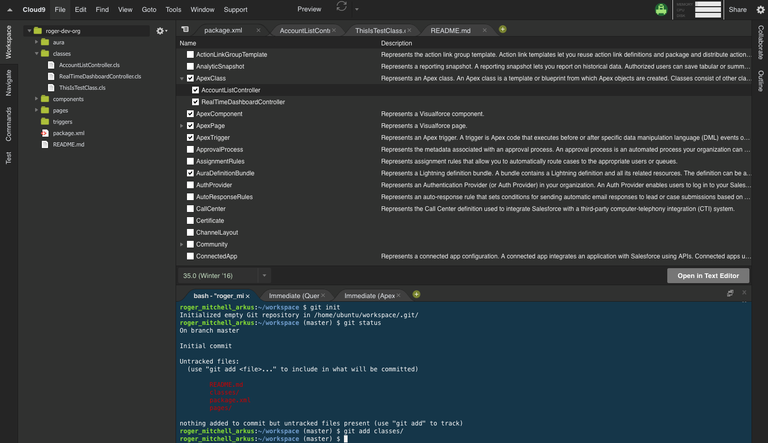 Illuminated Cloud dramatically simplifies development and deployment of Apex, Visualforce, Lightning, and other Force.com metadata types with modern IDE features. Cloud 9 an open source robust coding environment with the freedom and flexibility of the cloud. Using this IDE Salesforce developers can develop for the cloud, in the cloud. The workspace automatically communicates with the Salesforce platform to synchronize any changes you make, allowing you to fully focus on coding. 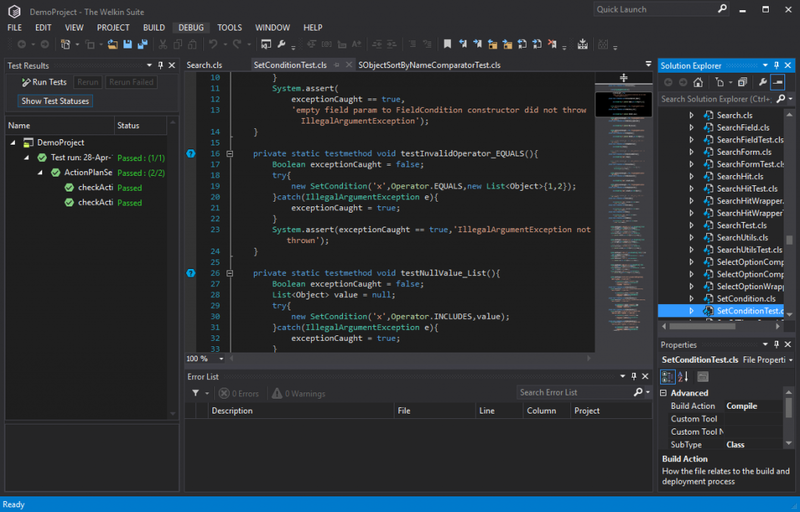 Salesforce recently released an alpha release of Visual Studion Code Extension for DX. The extension bundle includes tools for developing on the Salesforce platform using the Salesforce DX development flow in the lightweight, extensible VS Code editor. These tools provide features for working with scratch orgs, Apex, Lightning components, and Visualforce.